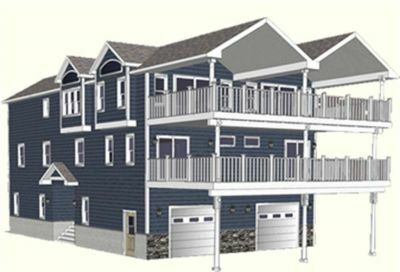 New Construction Extra Large 7 bedroom 4.5 bath twin with all the bells and whistles! This spectacular home will offer 2 large covered decks, hardwood flooring throughout, multi zoned C/A and gas heat, granite kitchen with stainless steel appliances, under�mount sink, custom cabinetry and 4 custom tiled bathrooms! This home is located just a short block to the beach and promenade and is perfect for a large family looking for an investment property at the shore! Contact me today with any questions.